CHICAGO – The Council on Tall Buildings and Urban Habitat (CTBUH) has announced the recipients of its two Lifetime Achievement awards for 2015. 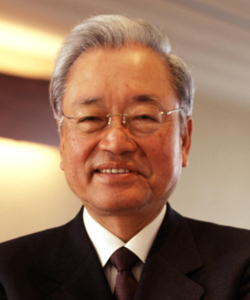 This year the CTBUH Board of Trustees awarded the Lynn S. Beedle Lifetime Achievement Award to the late Minoru Mori, considered to have been one of Japan’s most powerful and influential building developers. Mori’s keystone project was the Roppongi Hills development in Tokyo which opened in 2003, centering on the 54-story Mori Tower. This innovative $4 billion complex effectively transformed a developing neighborhood into one of the city’s most coveted business centers. Minoru Mori is recognized for his contribution to evolving Tokyo’s skyline, and advancing the concept of building tall as a fundamental element of the thriving urban environment. 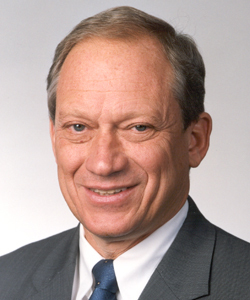 The Lynn S. Beedle Lifetime Achievement Award recognizes an individual who has made extraordinary contributions to the advancement of tall building and the urban environment during his or her professional career. The Fazlur R. Khan Lifetime Achievement Medal was awarded to Nicholas (Nick) E. Billotti, Chairman of Turner International LLC, the overseas division of Turner Construction Company. In this role, Mr. Billotti provides astute strategic direction for the international business unit, which includes focused regional operations in Europe, India, Latin America, the Middle East, and Southeast Asia. The Fazlur R. Khan Lifetime Achievement Medal recognizes an individual for his/her demonstrated excellence in technical design and/or research that has made a significant contribution to a discipline(s) for the design of tall buildings and the built urban environment. All award winners, including the 2015 Best Tall Building Winners and Finalists, will be recognized at the CTBUH 14th Annual Awards Symposium, which will take place at the Illinois Institute of Technology, Chicago, on November 12. The symposium will be followed by the Awards Ceremony and Dinner in the iconic Crown Hall, designed by Mies van der Rohe. Click here to see the previously announced 2015 regional Best Tall Building award winners and finalists.